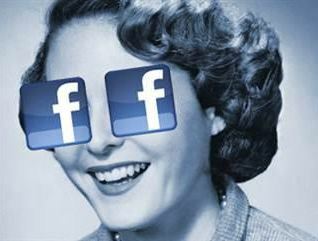 Last year, Facebook had the dubious honor of containing more spam than other social networks. In order to combat this scourge, Facebook recently announced a series of improvements to the News Feed to help ensure that spammy content does not drown out the posts that people really want to see from friends and Pages they care about. “The goal of this spring cleaning is to deliver the right content to the right people at the right time so they don’t miss the stories that are important and relevant to them,” said Facebook. Like-baiting is one of the sneakiest scams on Facebook. It's when a post explicitly asks readers to like, comment, or share the post in order to increase the number of likes and/or shares; in other words, to “Go Viral.” As we have described in previous posts, the page usually collects the likes, then sells it to the highest bidder to re-purpose for new annoying posts and scams. Facebook uses this cute animal survey image to illustrate what it considers to be like-baiting. 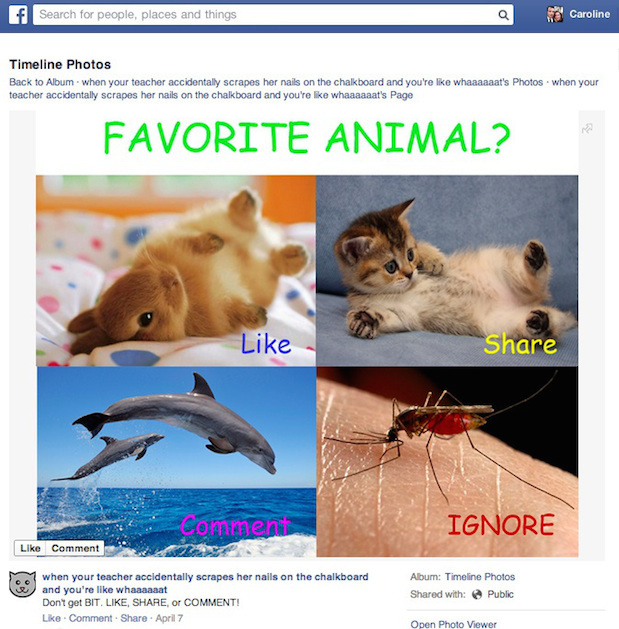 The text asks the reader what their favorite animal is, with pictures asking for likes, comments, and shares. Facebook found that there was an over-abundance of frequently shared content. That is content that people reshare, usually because it’s super-interesting or titillating. The first few times you see it, that is. When the same old fake Justin Bieber story gets posted on your feed for the hundreth time, you tend to get cranky and hide the story. Facebook wants to de-emphasize these stories so complaining and hiding stories decreases and relevancy increases. Stories with misleading language or formatting that tricks people into clicking a spammy link are under the gun. If you are lying or attempting to scam someone, Facebook is targeting you. Business owners: What does this mean for your Facebook page? Focus on posting content that is relevant and interesting to your target audiences. It’s OK to encourage discussion about your posts’ content, but you should avoid asking for likes or shares to get more distribution. Develop a publishing strategy that uses original content and do not copy from other sources. Link to your own legitimate websites.